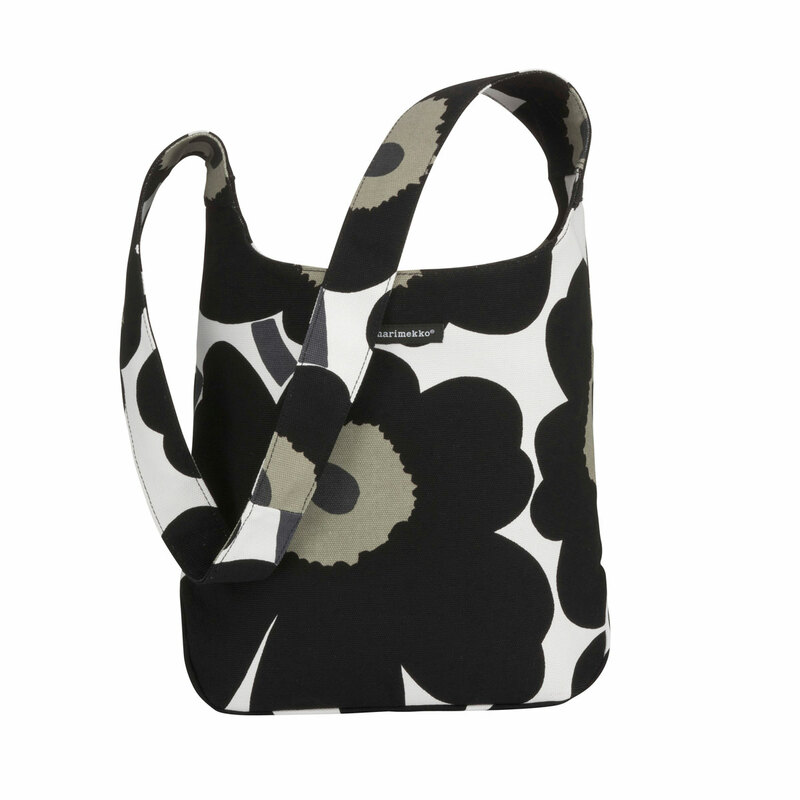 More about Marimekko Black Clover Bag The Marimekko Clover Bag is perfect for a day at the beach or to port books to class. This versatile accessory has a playful flower pattern splashed across its outer surface. Inside there’s a zippered pocket to facilitate finding all your little necessities and the bag features a magnetic closure to keep your belongings secure. This bag is a classic. I have gotten so many compliments on it! It's such a simple and practical carry-all, but so striking. I wash mine occasionally in the washing machine and let it air dry (be aware that the colors will fade a bit over time). I have had the Clover bag in several colors and handed a couple of my older bags down to my daughters. They cram them full of heavy school books and tote them back and forth every day, yet they've never burst a seam or shown any sign of suffering from the abuse! ConsExpensive for a simple design and cotton printed fabric (yet I can't complain about how well it's held up to constant hard use). I love my new Marimekko black clover bag. It holds so much and is both lightweight and sturdy. The pattern and colors are lovely to look at. The wide strap is comfortable for both shoulder and cross-body wear. I do a lot of city walking and tend to pile books, water bottles, etc. into my bags and these clover bags hold up really well. Love this bag. Had a previous version for 10 years that lasted well, but eventually needed a replacement.